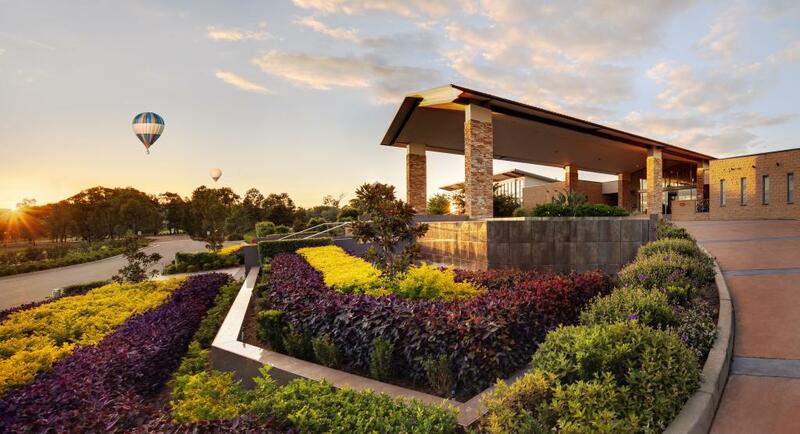 Crowne Plaza Hunter Valley will redefine everything you thought about the Hunter Valley. Relax by the heated outdoor swimming pool, indulge with a treatment at the onsite day spa and reward your palate with the exquisite local wines and produce in a choice of restaurants and bars. This Hunter Valley accommodation features guest rooms and villas.Rooms are located in two wings, which are directly connected to the main hotel building. All rooms feature either a balcony or courtyard with garden or pool views. 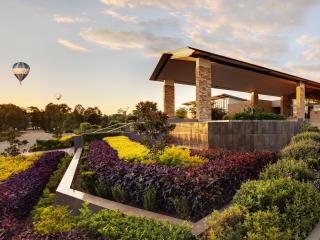 Surrounded by picturesque vineyards and framed by the rugged Brokenback Ranges, Crown Plaza Hunter Valley is ideally located on Wine Country Drive, less than 2 hours north of Sydney with easy access to wineries and attractions making it the perfect place for a carefree break or stimulating meeting. Crowne Plaza Hunter Valley's rooms and villa's each have a balcony or courtyard with views over the pool or garden. Leisure Room: This comfortable room offer modern furnishings and a private balcony or courtyard. Deluxe Room with Balcony: Offers views over the resort gardens or swimming pool. 1 Bedroom Villa: Features a kitchenette with spacious living area and private balcony or courtyard overlooking the resort grounds or surrounding vineyards. 2 Bedroom Villa: Ideal for families, this villa offers a large living area, kitchenette and two bathrooms. 3 Bedroom Villa: Located in the East Village or North Village, this villa features a kitchenette, two bathrooms and spacious living area. Redsalt: Open daily for breakfast and dinner, with quality cuisine created from fresh produce and matched with fine wines accompanied by views of the pool. The Lovedale Bar & Restaurant: Locate on the ground level with indoor or outdoor dining, this restaurant offers a la carte lunch and dinner. Located right next door is the Lovedale Brewery and Distillery, where the team can suggest the perfect handcrafted beer to match with your meal. Vista Lounge: Relax around the fireplace and enjoy Australia's best whiskey selection, wine and signature cocktails with snacks. Ubika Spa: Open daily for a range of therapies including facials, body wraps, manicures and pedicures and more.